AfterBurner-4 builds on the highly successful award-winning AfterBurner 1&2 range of evidential video surveillance recorders. 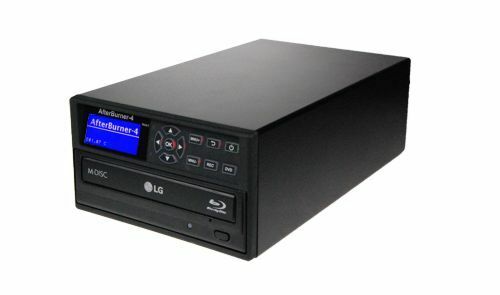 Specifically designed for police evidence gathering, the unit records to DVD / Blu-ray optical discs, or optionally to a removable hard drive. New features include 4 independent standard definition inputs along with one full-HD input (up to 1080p/30) as well as RTSP streaming to VMS such as Milestone or Genetec. A host of security features such as AES encryption and SHA256 hash coding are also included.